A Homesteaderâs Dream. Enjoy self-sufficiency and green living at its finest. 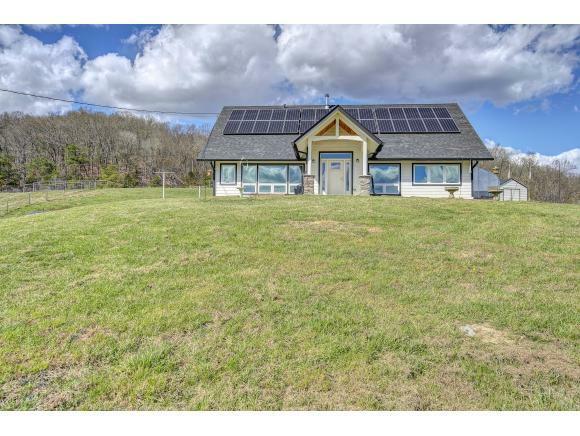 This beautiful, functional 3 bedroom, 2 bath passive and active solar home is nested on 31 acres. 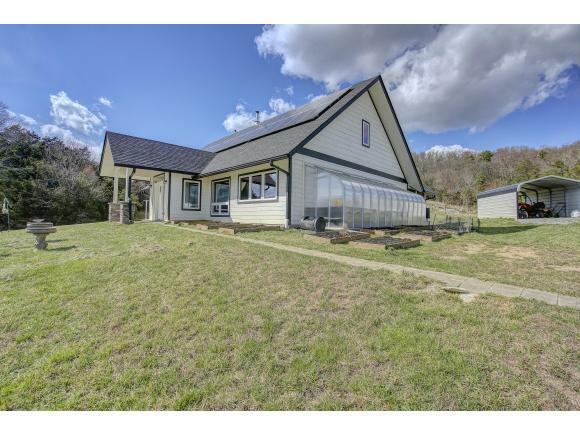 Private and quiet yet within 15 minutes to the city of NASCAR-famous Bristol, TN. The home has 2510 square feet with all living space on the lower level. The upstairs is a large, carpeted, open recreation room. The home boasts gorgeous, panoramic mountain views and luxury upgrades like granite in the kitchen and all baths. 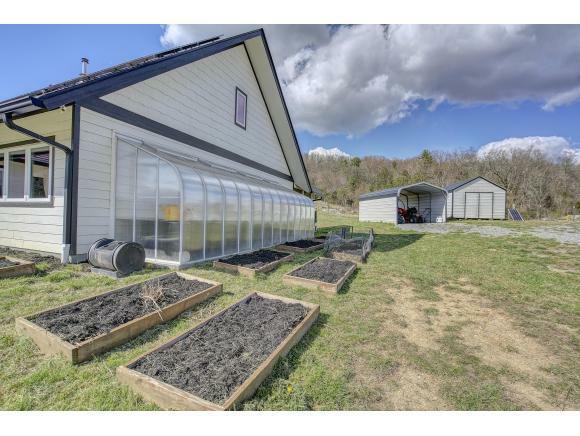 There are several green features including roof-top solar panels, battery back-up system, soapstone woodstove, cisterns, rain barrels, composters, triple pane gas-filled windows, ERVâs, energy efficient appliances, Carrier mini-split system, and blackout curtains. The homeâs Logix ICF concrete construction, open floor plan, polished concrete floors, trombe wall, and southern facing windows absorb sunlight and maintain warmth in the winter. The 31 acres features complete exterior and interior fencing for paddocks and rotational grazing, with each paddock sharing its own livestock water tank. There is a spring-fed pond, a large classic metal barn, a large metal livestock shelter complete with jugs and milking stalls, a metal shed, a metal carport, and a partially-covered run great for chickens. The shelter and shed have electricity. Enjoy gardening with 16 raised beds, a greenhouse, an orchard, and a medicinal herb garden. Relax and enjoy life knowing youâre making a difference and that you can handle whatever the world may throw at you.